As a stretch goal for SUPERHOT: The Card Game Board & Dice released a version with brand new art by Paweł Niziołek. 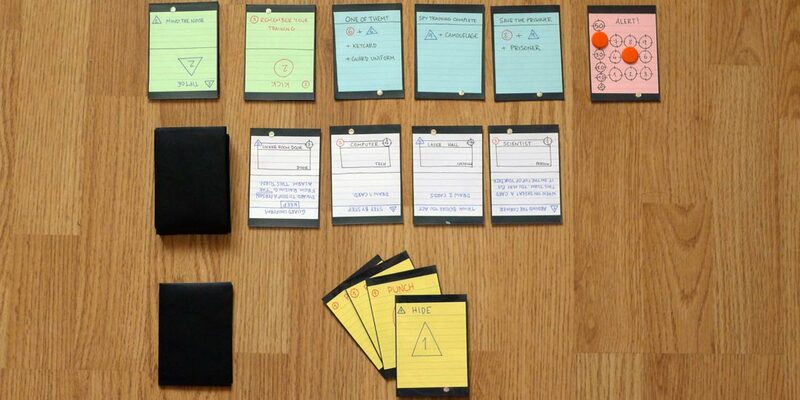 BGG user Chad Mestdagh created a digital version of Agent Decker in VASSAL, a tool where you can create and play boardgames. You can get it here and Steam user mew AKCat created a digital version of Agent Decker in Tabletop Simulator. You can get it here. Board & Dice recently picked up Agent Decker for publication! 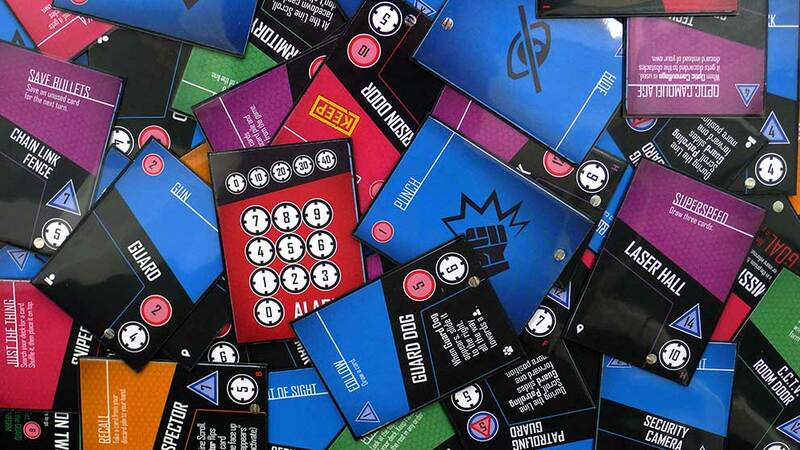 If you want to know all about it please subscribe to the BGG page, where we’ll be posting more news as the new version of the game is developed. First official review, by GeekDad! Hello Manuel and thank you for agent Decker. I havé an interrogation about 3 cards: keycard , chloroform and EMP. You write you can discard this card to interact with an icon. Does it mean i can interact once again for free so i could take a card in my hand or i could turn it face down ? A lot of players have problems to anderstand. I hope you will answer me. Best regards. Hello! Using those cards still counts as an interaction for the turn, it simply bypasses the cost. Bonjour Frédérique! My French is very poor so I don’t think I’d do a good job translating it but anyone is free to do so. I’ve seen a few but am not aware of a French one yet. J’ai traduit les règles et les cartes en français. Je vous enverrai cela prochainement. I have done the translation in french, and i will send them very soon. About the translation of the cards, would you prefer to keep the English name or a french name? Hello! I don’t have a strong preference, as long as the names are consistent between the cards and the goals that require them, Ex: Mission 2. Hello and thank you once again! I imagine the names in English won’t be a big problem since the effect is the most important part of the card. If the players are curious, they can find it quickly by searching online. I don’t recall making up any completely fictional names for the cards. Which two documents do you mean? 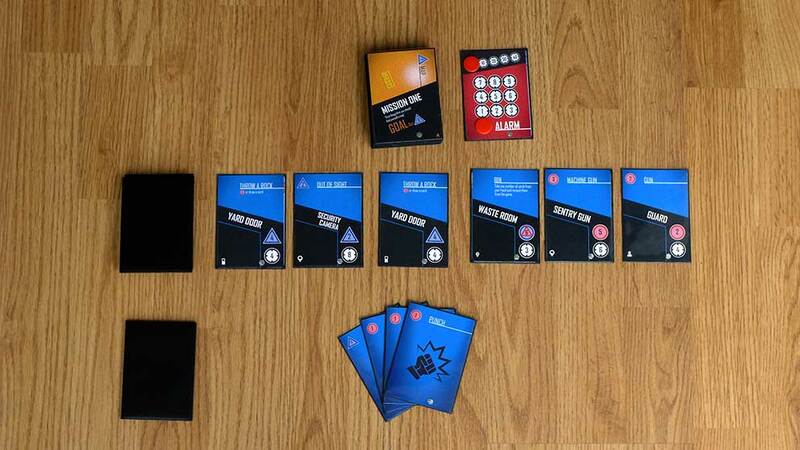 The cards and the rulebook? Where are you going to host these files? Do you agrée with that ? Yes, as long as the files are free and there are links to either this page or the game on BGG. Hey Manuel, thanks for this awesome game I can play by myself. I have a question. What if the cards in your hand can’t afford to interact with the cards in the line? What would you do? Hey! You can still use cards which don’t affect the line (to draw more cards, for example), or use equipment cards to affect it. If you don’t, or can’t, it’s the same as if you passed a turn, so you move from “Phase 1: Use Cards” to Phase 2: “Mission Check”. And also, what happens if the obstacle deck runs out of cards? You shuffle the Obstacle discard and draw from there. However, if there aren’t enough obstacles to fill the line, you ran out of time, and it’s Game Over.